Photo: William Stearns House, ca. 1900, 320 Reily Road, Wyoming, OH. 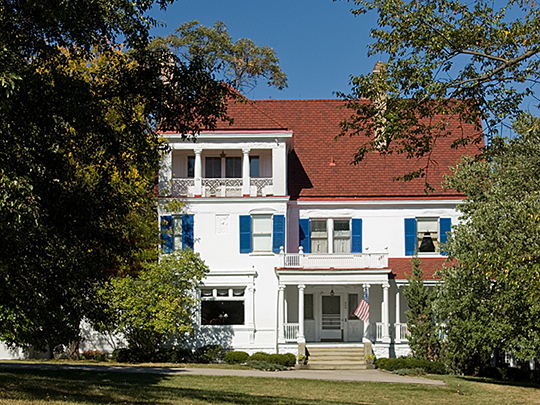 Listed on the National Register of Historic Places in 1986. Photographed by user:Greg Hume (own work), 2008, [cc-by-3.0 (creativecommons.org/licenses/by/3.0)], via Wikimedia Commons, accessed January, 2014. Hamilton County Administrative Offices are located at 138 East Court Street, Cincinnati, OH 45202; phone: 513-946-4000. The first European settlers in what would become Hamilton County came via the Ohio River in 1788. The county was organized in 1780.